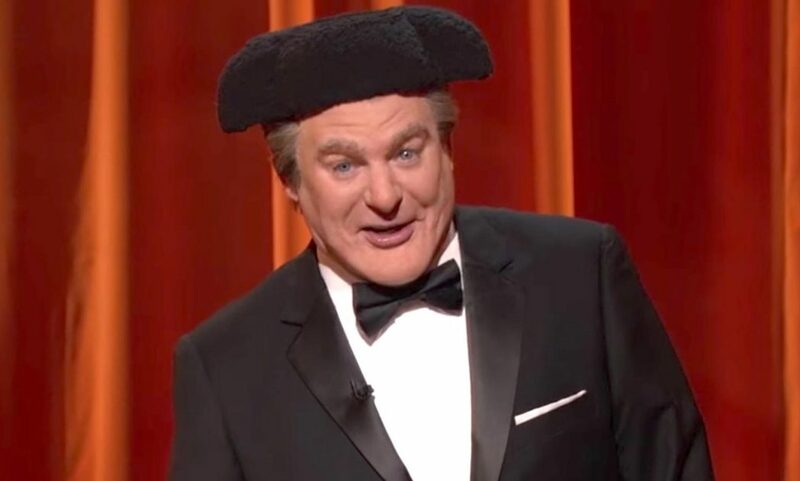 It’s been revealed comedian and actor Mike Myers has been hosting a gameshow in disguise, for six months and no one’s noticed. In the prank to end all pranks, Myers has been literally hiding in plain sight for the past six months disguised as Tommy Maitland, the 72-year-old British host of the rebooted American amateur talent show The Gong Show. Maitland’s introduced in the trailer for the show as a legendary host who’s making his debut in America – it’s enthralled viewers, being one of television’s greatest mysteries of the past few months. Although there was something vaguely familiar about his face and voice, no-one could pinpoint where they knew it from – despite rumours suggesting it could be Myers. Complete with an orange tan, bushy eyebrows, slicked back hair and a horridly cheesy catchphrase; ‘who’s a cheeky monkey’, Maitland was the perfect gameshow host trying his best, despite the fact he’s probably had his time. It was a pretty believable act and a rather detailed biography of the host on the ABC website certainly helped. Born on July 7, 1944, Thomas Winston Maitland (his middle name is a tribute to Winston Churchill) grew up in Neasden, GLC, Borough of Brent, where his father was an actuary and in the Merchant Marine and his mother was in the RAF. After a failed stint as a pipe fitter’s apprentice, Tommy joined the British Army at the tender age of 15. He later joined the Entertainment National Service Association (ENSA), where he got to know some of the UK’s biggest comedians. He played the ukulele, told jokes and drummed (though he drummed badly), and he ended up hosting the show – a talent he would later be known for. He was voted ENSA Entertainer of the Year, for which he was given a guarantee to appear on British radio. He later worked as an announcer for the British radio show The Whosey Whats and got small roles in the Carry On films – either as the over anxious compart at a men’s club or the strict union pipe fitter. The funny thing is, the biography went on and on and ABC even gave Maitland his own social media accounts and appearances on talk shows and red carpets. Managing to keep up the deception until yesterday, a statement released by ABC confirmed the gameshow is being renewed for a second season and how Maitland is in fact, Myers in disguise. 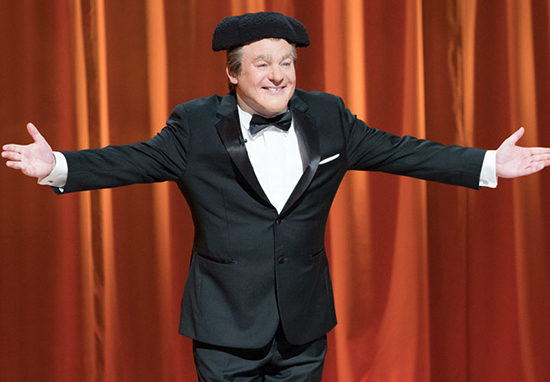 ABC has announced it won’t be gonging its popular summer series The Gong Show and has renewed it for a second season. 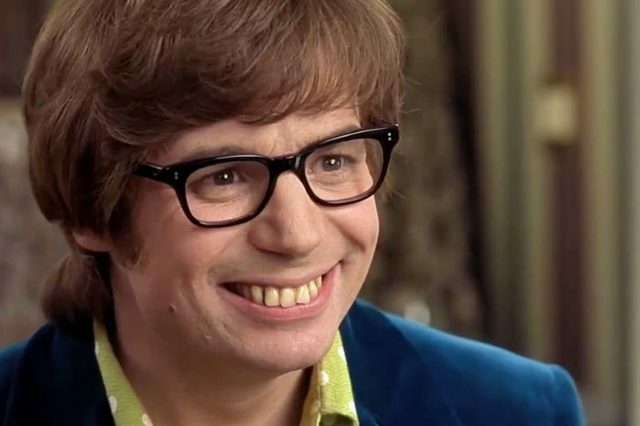 Celebrated film and television actor/comedian Mike Myers has finally confirmed the rumour that he is, indeed, the show’s host – British comedic legend Tommy Maitland. The statement does leave it unclear why Myers was in disguise and why he’s only just chosen to reveal the truth? But we can all admit, it really is a fantastic joke and was totally worth the pay off!